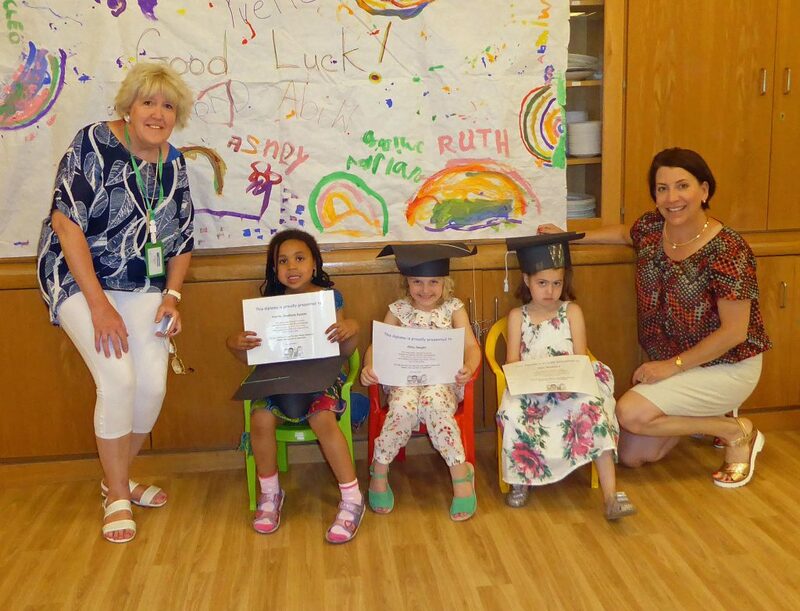 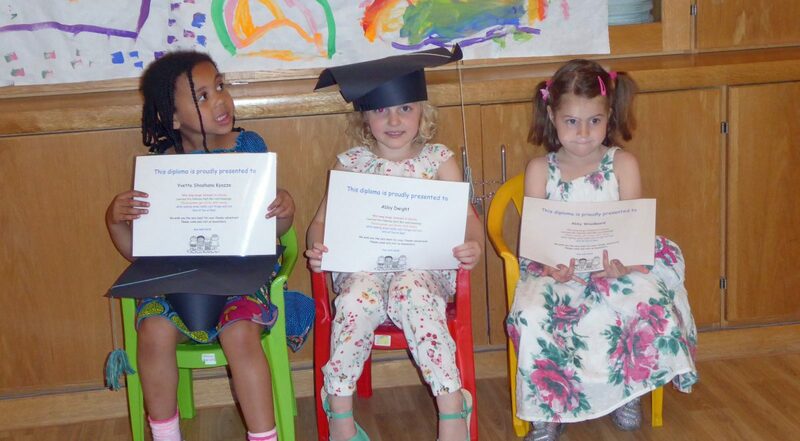 Cheder prizegiving took place at assembly this year on Sunday, 1 July. 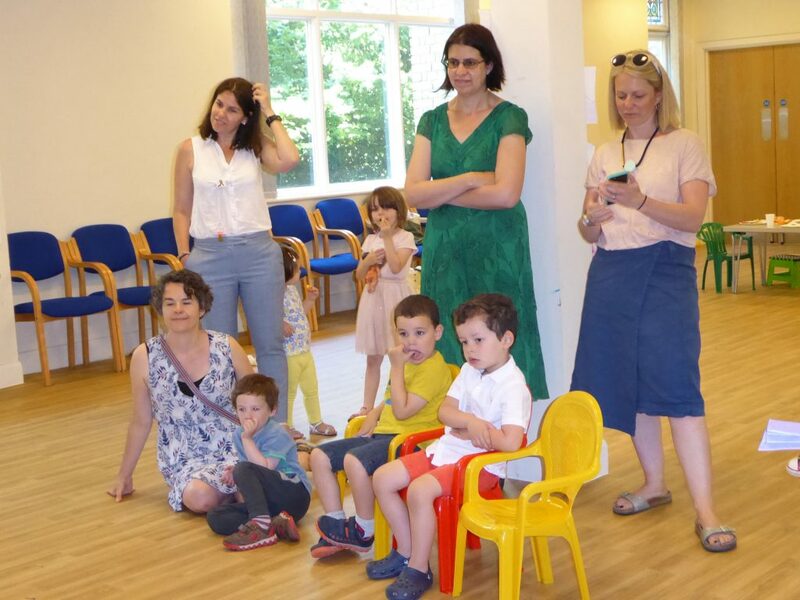 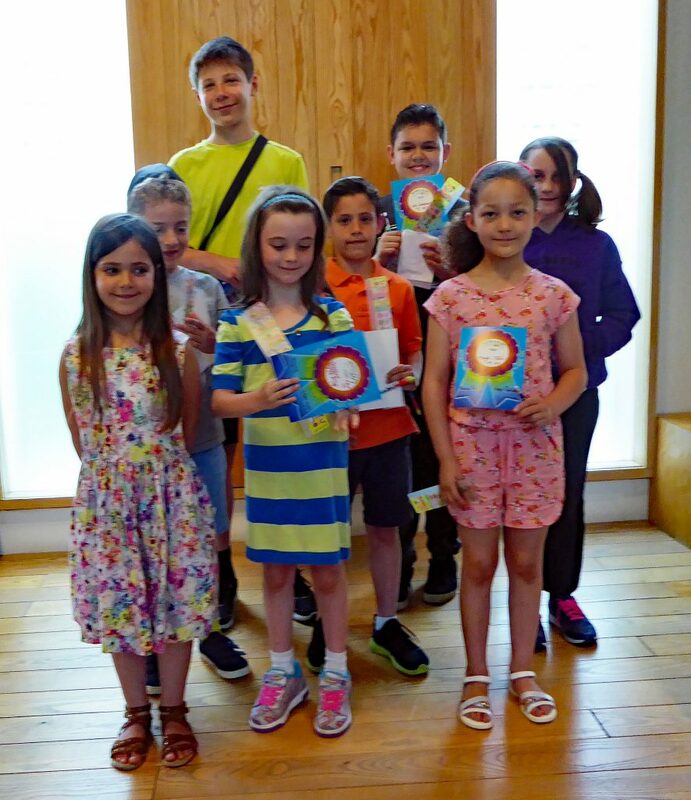 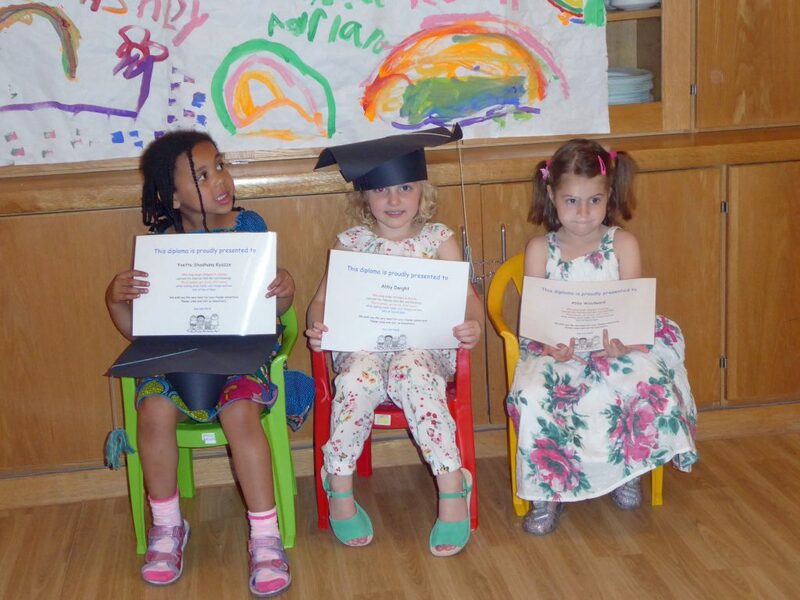 This was not the actual end of term as the whole of the Cheder will be visiting Sadeh Jewish Farm at Orpington on the actual last day – Sunday, 8 July. 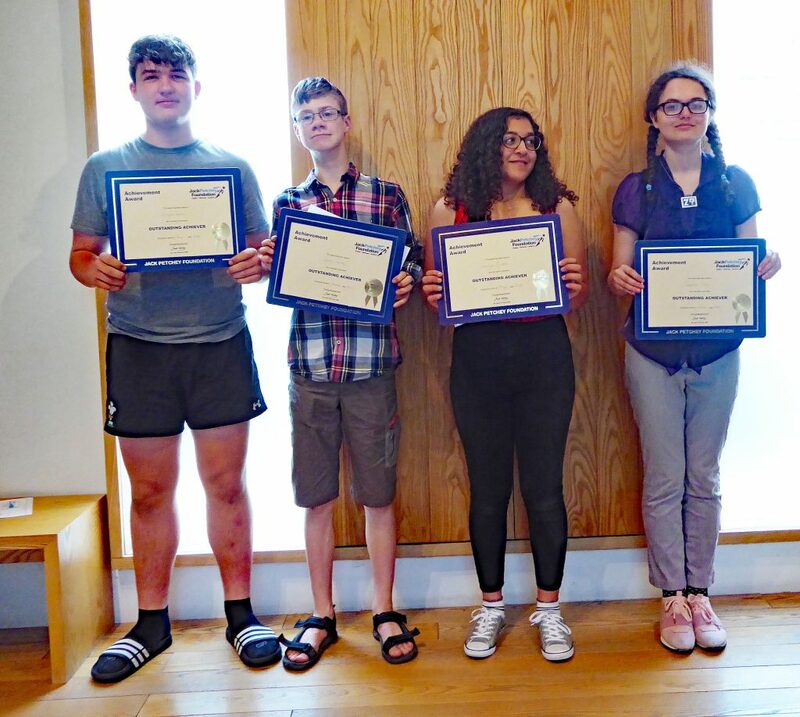 A prize was awarded to the child in each class who was considered to have made the most progress during the Cheder year and, at the end of assembly, the Jack Petchey awards to the young people who had made outstanding contributions to the wider community during the year. 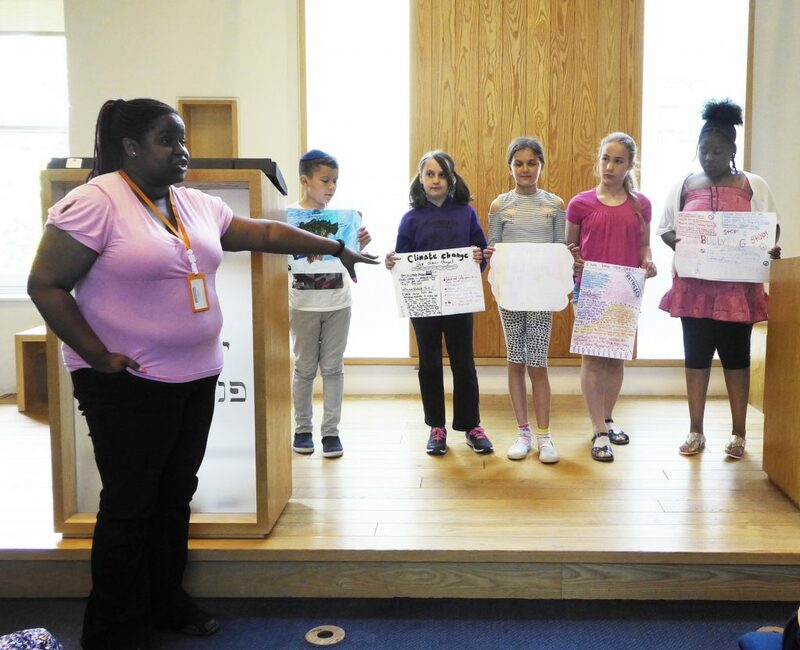 Two of the Cheder classes made presentations of what they had been engaged in during the morning preceding the assembly. 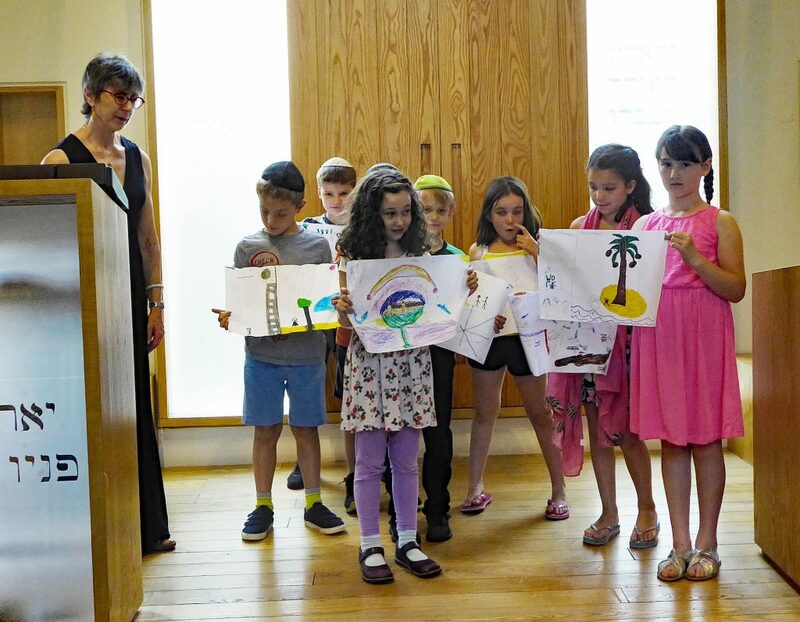 Meanwhile a graduation ceremony had been held downstairs in the Gan for the children who were due to move up to the first class of the Cheder (Kittah Aleph) in the new Cheder year. 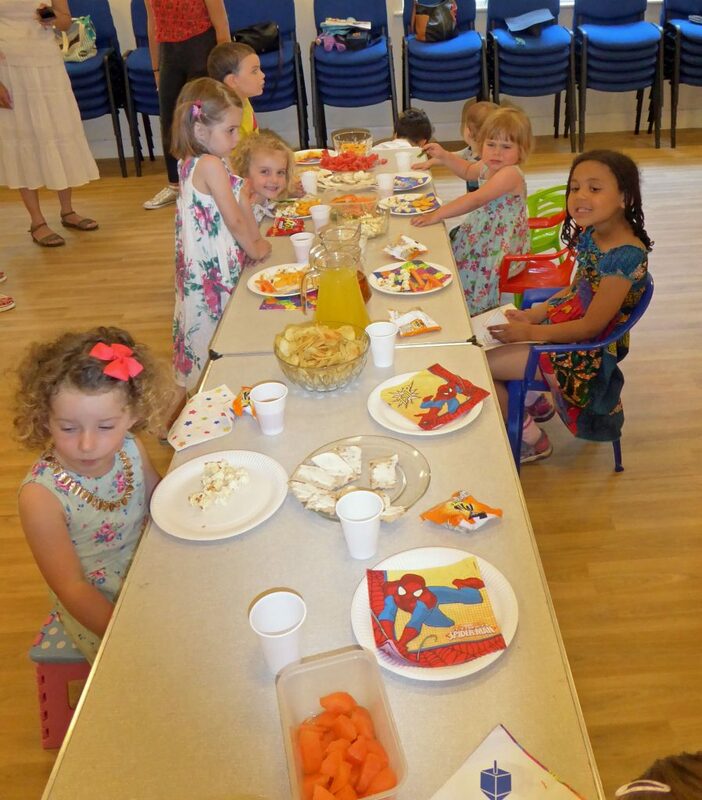 The ceremony was followed by a “Feast” when all cold drinks and goodies were consumed.